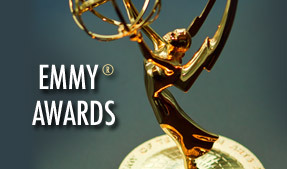 The 2019 Mid-Atlantic Regional Emmy® Awards Call For Entries is now available. Please read the rules and list of categories before submitting your entry. ** Receive discounted entry fees for submissions uploaded by 8pm on Friday, April 5. ** Standard entry rates are accepted for entries received through April 12. ** Entries will be accepted with a late fee through 8:00pm on April 26. ** All entrants are required to judge. Member discounts may not be available for those who do not judge annually. ** Eligibility year is April 1, 2018- March 31, 2019. 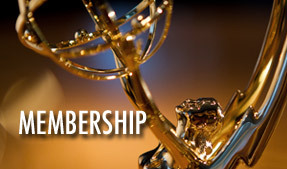 Information: Read more on our Emmy® Awards page. *You will not be able to update your membership or submit entries from your phone. We are working to make Emmy Express site more mobile friendly. Thanks for your patience. The 2019 College/University Call For Entries is now available. Entries are due Friday, April 26 by 5pm. All entries must be submitted and video uploaded by the deadline to be eligible. College membership is not required, but a free user account is required for security to access the online entry system. – Set up a user account here. – Click here to set up a membership account. – Click here to submit your entry. Entry deadline: April 26 at 5:00pm. 2019 High School Student Production Awards will be presented Tuesday, May 14, 2019, at Temple University. Registration 9:00, Speakers 9:15-11:00, Lunch, Awards presented 12:00pm. To RSVP, Contact Jennifer Cairo. The “Next Gen Media Scholarship Fund” supports high schools and high school students from our region. Please join us in supporting our next generation of broadcasters. Contact the office to make a donation. Learn more about our Chapter Leadership here. Job Bank: Looking for other career opportunities? Visit our Job Bank. The 2018 Mid-Atlantic Emmy Awards will be presented at the Philadelphia Marriott on October 13, 2018. Nominees will be announced August 14 and ticket sales will start August 21. Reserve your seats early! High School Awards Congratulations to the 2018 NATAS Mid-Atlantic High School Award recipients! The awards were announced on May 23 during an education day at Drexel University. College/University Awards College/University Production Awards will be announced as part of the Mid-Atlantic Emmy Awards ceremony at the Philadelphia Marriott on October 13, 2018. Nominees will be announced August 14 and ticket sales will start August 21. Join NATAS and receive access to exclusive member benefits and programs. Visit our “membership” section for more information.